Wielkość pliku podglądu PNG dla pliku SVG: 599 × 599 pikseli Inne rozdzielczości: 240 × 240 pikseli | 480 × 480 pikseli | 600 × 600 pikseli | 768 × 768 pikseli | 1024 × 1024 pikseli | 2424 × 2425 pikseli. 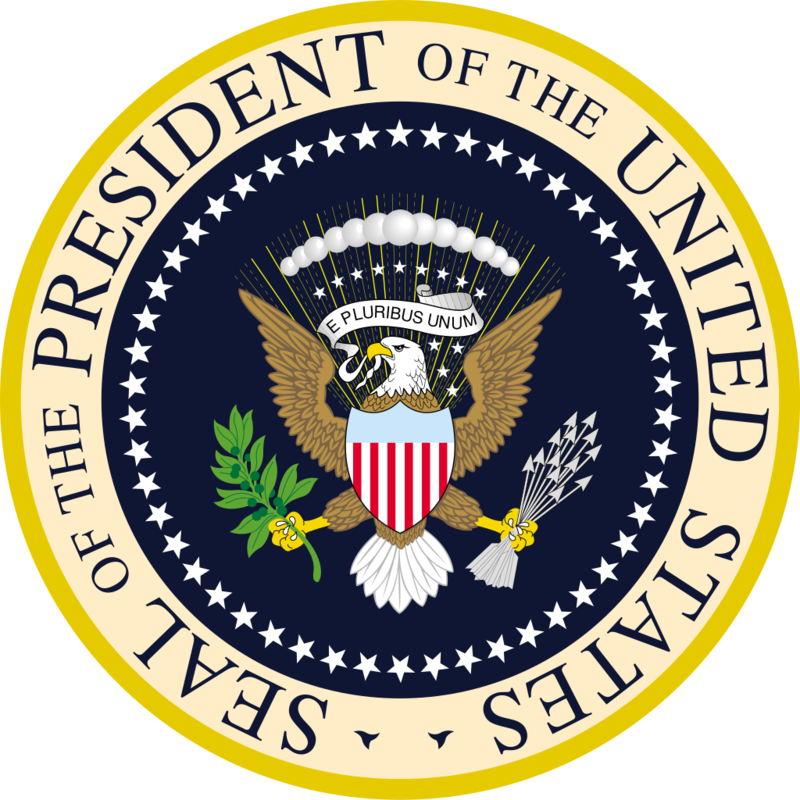 Plik Seal of the President of the United States.svg znajduje się w Wikimedia Commons – repozytorium wolnych zasobów. Dane z jego strony opisu znajdują się poniżej. aktualny 11:32, 10 mar 2019 2424 × 2425 (165 KB) AndreyKva Optimized. 11:29, 6 cze 2014 2424 × 2425 (276 KB) Illegitimate Barrister cropping out empty space. 00:00, 4 maj 2011 2437 × 2437 (196 KB) Clindberg Reverted to version as of 06:35, 4 November 2007 -- it is a light blue. 23:53, 3 maj 2011 600 × 600 (345 KB) Ssolbergj Part of the coat of arms is blue. 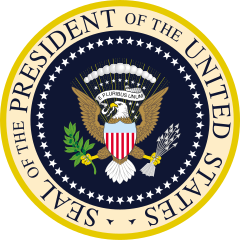 This is also shown on images of the actual seal.